Zion Canyon with Cottonwood Trees. 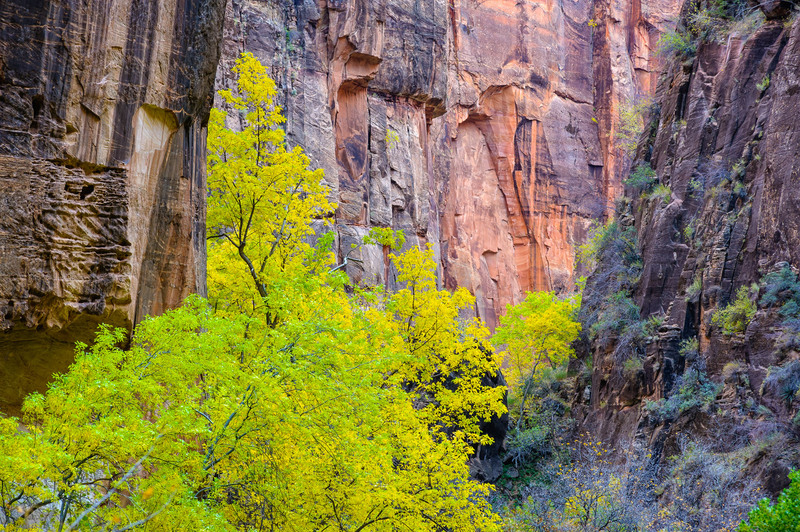 Scenic landscape of Zion Canyon in Zion National Park during peak fall colors. Captured as a 14-bit Raw file. Edited in ProPhoto RGB color space.